Tax season officially begins on January 28th, 2019. As we’ve covered previously, despite not having started yet, it’s already turning out to be a very interesting tax season given all of the new reforms taking effect this, the new universal 1040 form, as well as the ongoing government shutdown. Fortunately, the IRS has answered, at least partially, the question everyone has been asking by letting taxpayers know that even with all of the craziness, refunds will be sent out on time. Many taxpayers want to know what they can do to ensure they receive their refund as fast as possible. Though the IRS has said that most refunds are sent out within 21 days, some taxpayers have reported getting their refunds even faster. 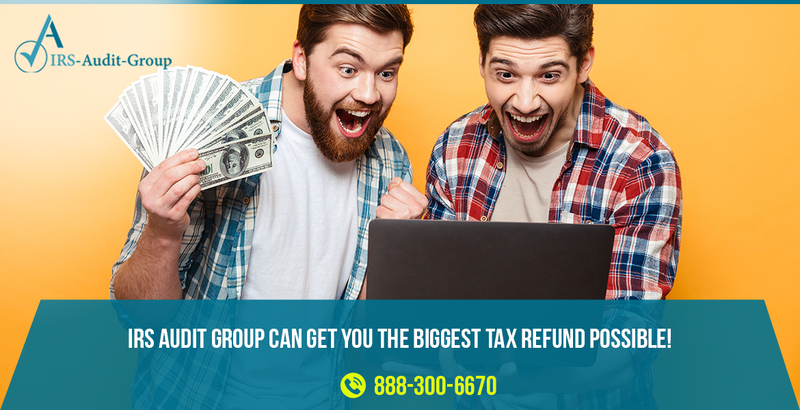 Below, our experts at IRS Audit Group suggest a few things taxpayers can do to ensure that they receive their refunds as fast as possible. The general rule of thumb is the sooner you file your taxes after the start of tax season, the sooner you will receive your refund. That said, there are many other factors you should also consider. The IRS has repeatedly stated that they prefer taxpayers use the e-file feature instead of filing by paper. The IRS is able to process returns that have been e-filed compared to filing by paper, which they have to process manually. Especially considering the reduced staff that the IRS is operating with as a result of the government shutdown, these paper returns will take even longer to process than they usually do (typically about four weeks). Another way of ensuring that there’s no delay in receiving your refund is by opting for the direct deposit option. Papers checks take longer to create, and in addition, mail out. If there are any mistakes in your direct deposit information, the IRS will automatically mail you a paper check. Finally, while it may obvious, we cannot overstate the importance of making sure there are no silly mistakes or errors when you are filing. Even the smallest mistake can get your returns flagged. As a result, not only will they delay receiving your refund significantly, but in addition, may even result in an audit. In concluding this article, we’d like to mention that if you claim the earned-income tax credit or the additional child tax credit, you’ll most likely receive your refund beginning in late-February. Due to regulations, the IRS must wait until mid-February to issue refunds to those who claim either of these credits. Despite this, it’s still extremely important to follow the tips above the avoid waiting even longer. The simple measures that we’ve covered above can help make sure that you receive your refund quickly and without an issue. If you follow all of the steps above, but still don’t receive your refund a month (at the latest) after filing, there may be an issue with your returns. If you ever receive a notice from the IRS, let our trusted tax professionals at IRS Audit Group help you out. Our team has extensive experience in dealing with the IRS and helping our clients reach successful resolutions, and we offer a free initial consultation. For more information or if you have any questions, please call us at 1-888-300-6670.